The office looks so cheery and bright - and not the cluttered mess it usually is ;) If you've hopped over here from reading the article, welcome! 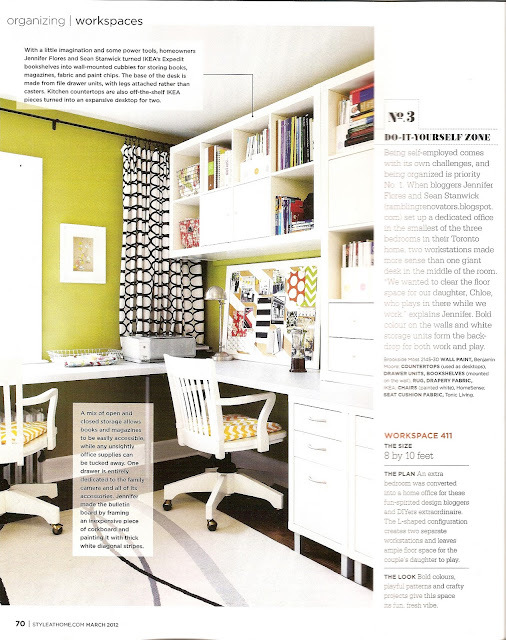 You can see more about some of the office projects like the corkboard, the painted chairs, and the organization solutions. 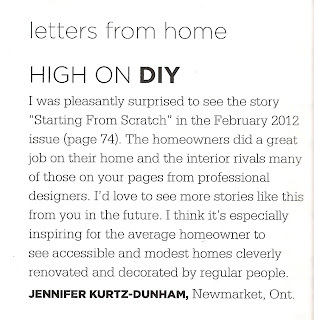 This person was talking about our story in the February 2012 issue and I was thrilled that they "got it". 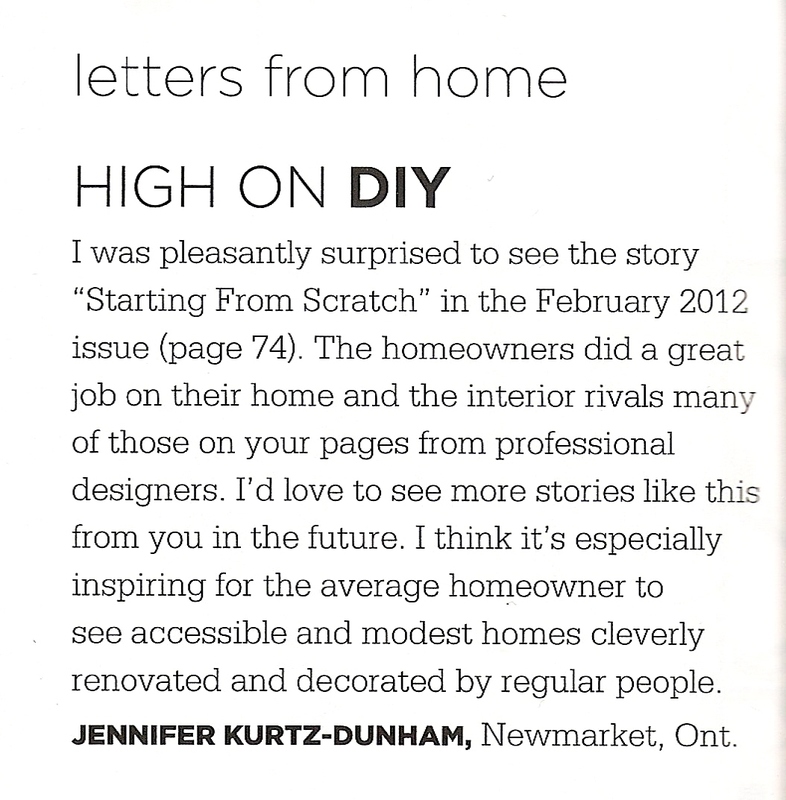 A big reason why I blog about our renovations and projects is to show you that DIY doesn't have to look, well, DIY'd. Count this as my favourite letter ever.